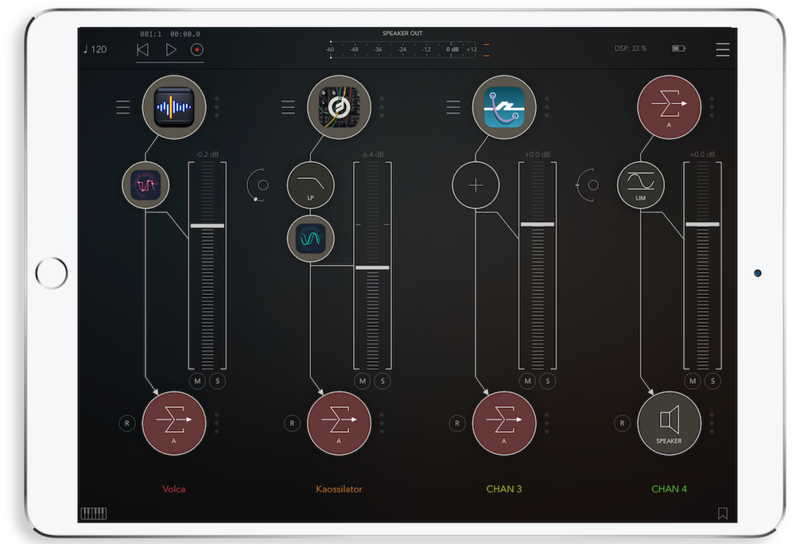 There’s certainly a lot of confusion online surrounding AUM and Audiobus 3 and the differences between them, with plenty of iOS musicians trying to work out which app is best for their workflow. But while there is definitely an overlap in capabilities between the two apps, they are ultimately very different beasts with different strengths. 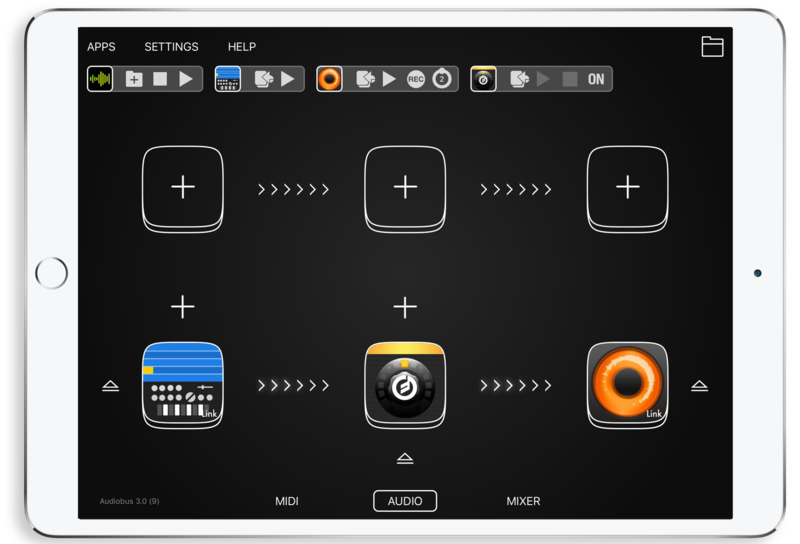 The original Audiobus app cemented its reputation as an essential tool for iOS musicians way back in 2012 – before Inter-App Audio or AUv3 – when it became the first way to connect audio apps together. So, for example you could load a synth app and record it into a DAW, which hadn’t been previously been possible. This was a total game changer for iOS producers, as it meant that their devices were no longer full of unconnected apps. Audiobus 3 essentially still serves this same purpose of routing the audio from one iOS app to another but the app has been expanded to include a whole range of additional features such as MIDI routing, a built in mixer, and the ability to host AUv3 and IAA compatible apps rather than only Audiobus compatible apps like Audiobus 2. AUM on the other hand is an audio mixer app, so while it’s more than capable of routing audio from one app to another, it’s intended to be a place to bring together your IAA and AUv3 music apps rather than as link between an instrument app and a host. While AUM has a record function, it’s not like a DAW, there’s no arrange window or timeline so you can’t record and edit tracks. Instead, any audio that you do record is simply saved as an audio file that you can then open and edit inside Audioshare, another Kymatica app. So while recording may not be its forte, AUM is perfectly suited for live performance – just scour the internet and you’ll see that AUM is a firm favourite with musicians using their iPads to facilitate live jamming sessions with apps and hardware. There’s a load of other features as well that add an extra creative dimension to AUM. For example, the file player lets you load in audio and loop it and AUM’s routing options make it possible to set up things like effects sends and feedback loops. Well, that all depends on what your end goal is and what apps you’re wanting to use. If you’re wanting to record the output of some Audiobus compatible apps in your DAW then Audiobus 3 is absolutely the way to go. Although, there is a definite move towards AUv3 apps being the preferred method connecting music apps, there are still plenty of great Audiobus compatible apps that don’t support AUv3 or Inter-App Audio. However, if you’re looking for a way to quickly load apps and jam with some of your IAA and AUv3 apps or maybe some hardware as well, then AUM will be right up your street. And if you’re wanting something a little more sophisticated than AUM’s recording function then you can always route the output of your channels out to a DAW like Cubasis or Auria Pro and record everything in there. It’s also worth noting that while you can save and reload your sessions in AUM, it doesn’t have the massively useful state saving feature that Audiobus 3 has where everything (including app settings) will reload exactly how you last had them. For more comparisons of the apps check out The Audio Dabbler’s video below. While there is certainly some crossover and both apps are very flexible, Audiobus and AUM have some key differences that make them suited for different purposes. But if you can’t decide between the two then you can always get both, plenty of iOS musicians use setups that have both apps running together. If you want to improve your AUM skills then check out our free AUM tutorial series, packed with tips and tricks to turn you into an AUM master.